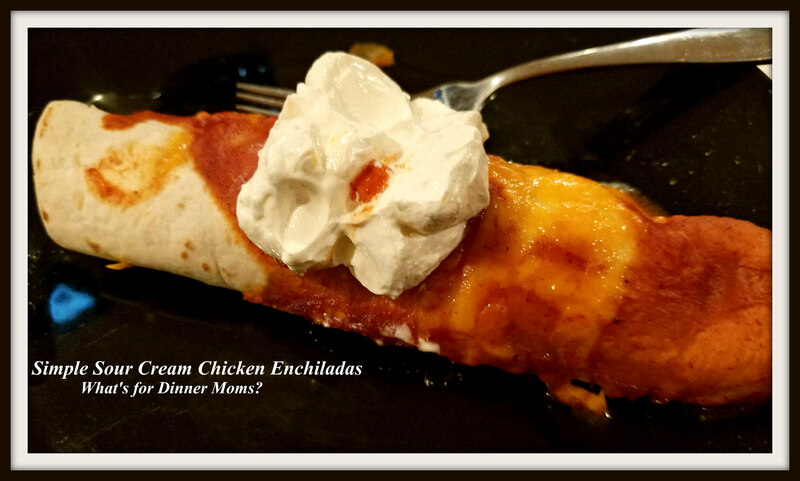 Simple Sour Cream Chicken Enchiladas – What's for Dinner Moms? How to tell when you are getting old? 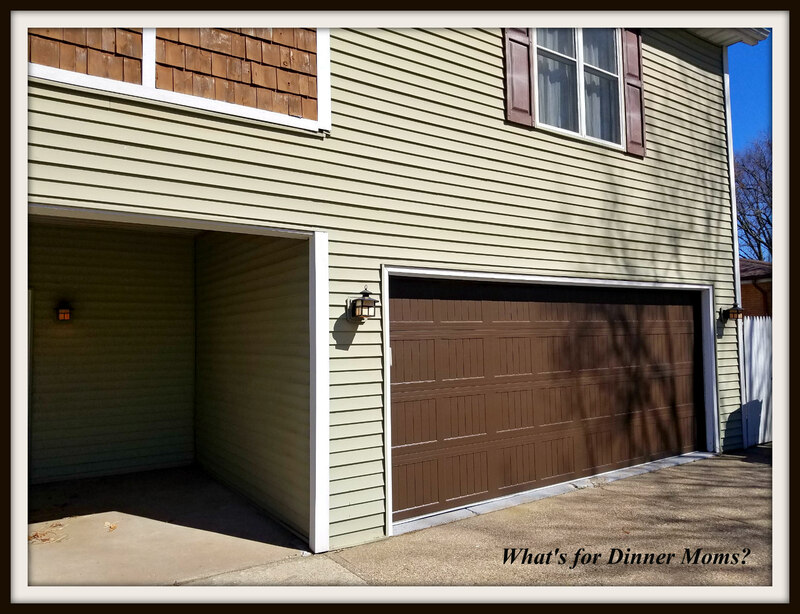 Something like a new garage door really excites you. Seriously. I was so excited to pick out a new door. The one that was on when we moved in was white, rusty, and the lift had finally died earlier this winter so I was stuck parking my car in the driveway and not in the garage. Now I can park back in the garage and not get wet or cold! It is the little things in life that make us happy sometimes. Next year we are planning the year of the door to the back deck. We don’t have one now and one is needed. Little by little…. We cooked the chicken for this dish two days before in the slow cooker. Knowing that we had some busy days ahead we planned on making the enchiladas one of the next few days. I love this dish because you can customize them as you like. Add green chiles, black olives, leave out the corn and beans. Make them as you would like them! I doubled the recipe but forgot to double the sauce. These were good but just not as saucy as usual. You can adjust everything to your liking. Add a green side salad to complete the meal. Place onions and oil in a large skillet over medium heat. Cook onions until almost translucent. Add chicken to the pan and continue stirring occasionally until chicken is warmed. Add sour cream and about 2/3-3/4 cup of enchilada sauce. The chicken should be well coated in sauce. Remove chicken from heat. Stir in beans and corn, if desired, and 2 cups cheddar cheese (we like lots of cheese, you may wish to cut down on it). Taste and adjust spices to your liking. Place 2/3 cup of enchilada sauce in bottom of a 13″x9″ baking dish. Spread over the entire bottom of the pan. Roll the chicken in the tortillas and place seam down in the prepared baking dish. Pour rest of enchilada sauce over the tortillas. Top with rest of shredded cheddar cheese. Cover with aluminum foil and bake 15-20 minutes. Then remove cover and bake until cheese is hot and bubbly. I’ve been finding I also get excited for things like garage doors lately. No shame in that! These look really good! Have you ever tried making them with corn tortillas instead of flour? Thanks, I have made them with corn tortillas. They tend to be a bit “chewier” to me but they still work. A fun and delicious sounding recipe.